How We Chose the Best Mattress for our Kids! My little toddler had finally graduated to a 3 year old pre-schooler and was ready for his first “big boy” mattress. He had never really been a great sleeper, so I wanted to make sure I found the right one. At first, I had no idea where to start. His body was in a crucial stage of growth and development and I wanted to give him the best sleep possible. I read hundreds of blogs and tested loads of different models, from memory foam to latex and even innerspring. Being a bit OCD, I narrowed it down to the top 5 choices before making my decision. Here are our top picks for the best twin mattress for a toddler in terms of quality, comfort and price. The Zinus is treated with natural “green tea” extract to fight bacteria and odors. It also has the most adaptive surface we’ve found, effortlessly contouring around heavier parts of the body and instinctively creating firm support where needed. 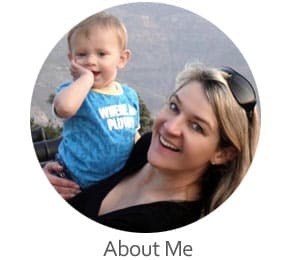 Since this would be a significant period on our child’s growth (with the accompanying aches and pains associated with growth spurts) we really loved the soft and gentle caress that the Zinus Memory foam material offered. This “intelligent” layering is thanks to the 4 inches of high density Airflow base foam, covered by 2 inches of pressure relieving comfort foam and a further 2 inches of soft adaptive memory foam. It has a soft upper layer of even pressure distribution while still being firm enough that they don’t feel like they’re being swallowed up by the bed. Our very close second was the Lucid 10 Inch. The 7.5 inch high-density base is topped off with a 2.5 inch gel infused ventilated surface. This is the top rated twin mattress for kids who live in warmer climates. The ventilating material creates a cool flow of air through micro-pores as the body compresses and decompresses the surface. This is further supported by the TENCEL blend fabric which creates a thin layer of air between the body and the sleeping surface, which helps with sweating at night. It is a big upgrade in comfort but also comes at a higher price. The medium firmness is roughly the same as the Zinus but with those extra 2 inches, you feel like you’re sleeping on a cloud. The Signature sleep stood out for its firmness. This can be a huge factor if you don’t like feeling like you’re sleeping on a marshmallow. It consists of only two layers: The strong supporting base foam with the adaptive memory foam top. 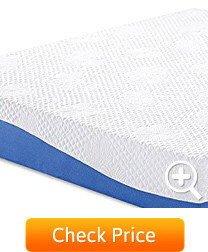 This would be a good choice if you don’t prefer the “sinking” feeling which is often associated with other memory foam options. We have read that in some cases, after a few years, there could be a slight compression of the areas you sleep on. This didn’t really put me off that much since I personally believe a mattress should adapt to your body over time and I don’t really mind the way it “acclimates” to your natural sleeping position. The Olee sleep is yet another innovation in cooler sleeping. The proprietary 1 inch iGel top layer is designed to disperse heat and leave you feeling cool and dry. The middle layer is the 1 inch 25-ILD (Indentation Load Deflection) foam followed by the bottom 8 inches of 8-ILD memory foam. The unique decision to place a thin layer of higher density foam between the iGel top and the softer 8 inch base helps avoid defection (unwanted indentation) while still allowing a soft, comfortable sleep. 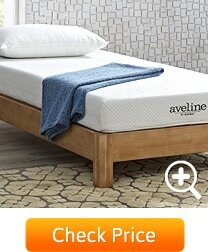 If you plan on having a mattress a very long time, this is a great choice. We loved the standard 10 year warranty that comes with the Modway. 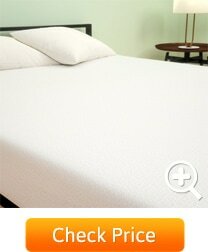 It’s a very well priced 6 inch mattress which is just right if you’re planning on replacing it within a few years. 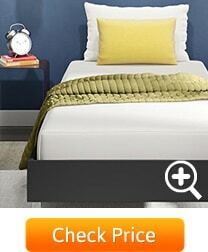 The other benefit of a 6 inch option is that it could easily slip in under a trundle bed. It’s also much lighter and can be moved around easier if you need to. 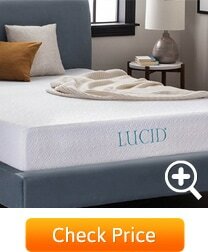 It has the same ventilating qualities as the Lucid but unfortunately doesn’t come in a Twin XL. In the end, the Modway wasn’t quite what we were looking for but the price and the great warranty helped make it on the list. The importance of a good night’s sleep cannot be overstated at this stage of development. Cognitive and physiological functions are at a critical juncture and need to be on the highest priority for a parent. During sleep, your child will not only grow, but also “heal” on a cellular level, as new cells replace old ones. A well slept 3 year old will be brighter, healthier and much happier overall. Since a good quality memory foam mattress can last up to 10 years, it made the most sense to look at Twin and Twin XL sizes instead of a toddler bed mattress. Kids need to be able to stretch, twist and roll as their bodies grow in their sleep and very soon, our child would have outgrown the tiny 28×55 toddler bed size. If your children are as rambunctious as mine, you’ll know to immediately exclude Coil Spring mattresses from the selection. I just didn’t want him to inadvertently jump on it causing a dislodged spring to poke him in the ribs for the next 5 years. Their little bodies are experiencing a tectonic shift in growth, with at least 80% of their growth occurring at night while asleep. Their bones and joints are pushing together as they find their natural equilibrium and these growing pains can sometimes be quite severe. I needed to be sure that the mattress had pressure relieving qualities which would make it just a little easier to deal with. For this reason, the soft, pressure relieving surface of memory foam once again made the most sense. We made sure to only include mattresses with a CertiPUR-US® certification. This means that the manufacturing process of each product has been independently tested for harmful chemicals which may be released while sleeping. Additionally, environmentally safe processes were used during manufacturing. Firmness is measured with the ILD (Indentation Load Deflection) scale. For our 3 year old, we decided on a middle-of-the-road mattress firmness as he was still growing and would ultimately still decide on his preferred firmness over time. It was basically a “Goldilocks” decision with the best option being the middle one. Every mattress on the list can easily support up to 100 pounds and will be perfect for years to come. Have you ever had to sleep in your kid’s bed? This sometimes happens when someone is having trouble sleeping and for whatever reason, it makes sense to swap beds for the night. It can be super uncomfortable for an adult to sleep on a kid’s bed. Well, now it won’t be a problem. In fact, you may just find it more comfortable than sleeping on your own bed. Here’s how the unboxing process works. Once you remove it from the packaging, it usually takes around 48 hours to fully self-inflate to its proper height. Note, there might be a slight smell for the first few hours but this goes away by itself. All-in-all, a great solution to ordering and shipping a mattress straight to your front door.